Lumi LED light bulbs are Wi-Fi enabled. Lumi generates brightness equal to a 60 Watt incandescent bulb while consuming only 10 watts. Lumi gives brightness control, huge variety of colors and status change from anywhere. Brighten and add colour to your home through Lumi LED smart light bulb. Control a single Lumi or all through the Cielo Home app. The Wi-Fi enabled Lumi LED light bulb directly connects to your home Wi-Fi network, allowing its user to control its on/off functionality. Play with the brightness and colors. Set schedules and receive custom alerts and change the light status from anywhere. Lumi app figures out when you’re home and when you’re out, it adjusts the status of the light for utmost convenience and energy savings. You can schedule your lights, get notifications about usage, set home lighting actions in relation to your locations and controls from anywhere. The Wi-Fi enabled Lumi connects directly to your home Wi-Fi network. 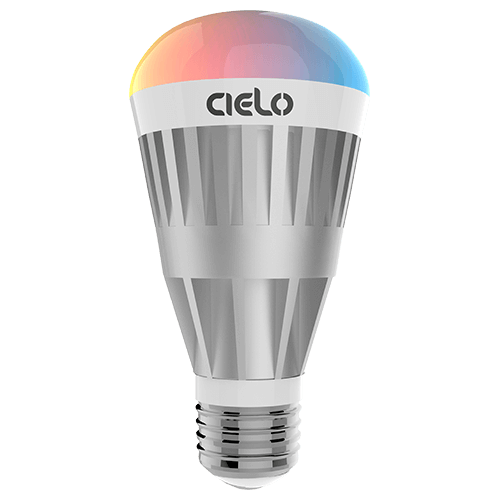 Cielo Home app is designed to work seamlessly with Lumi and interact with Cielo AWS IoT Cloud. 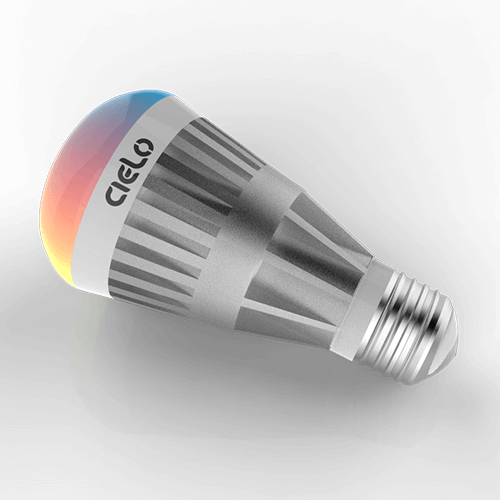 Cielo app uses sensor data, predictive algorithms and your phone's location to automate your complete home lighting. You can schedule your lights, get notifications about light usage, set lights action in relation to your locations and enjoy unlimited control from anywhere.